In 1933, Surrealist poet Paul Eluard described what drew him to postcards from the decade or so before the First World War. 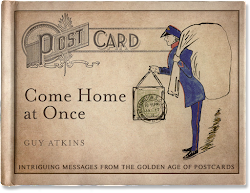 He said that while old postcards were no more than small change left over from art and poetry, this small change sometimes contained the idea of gold. 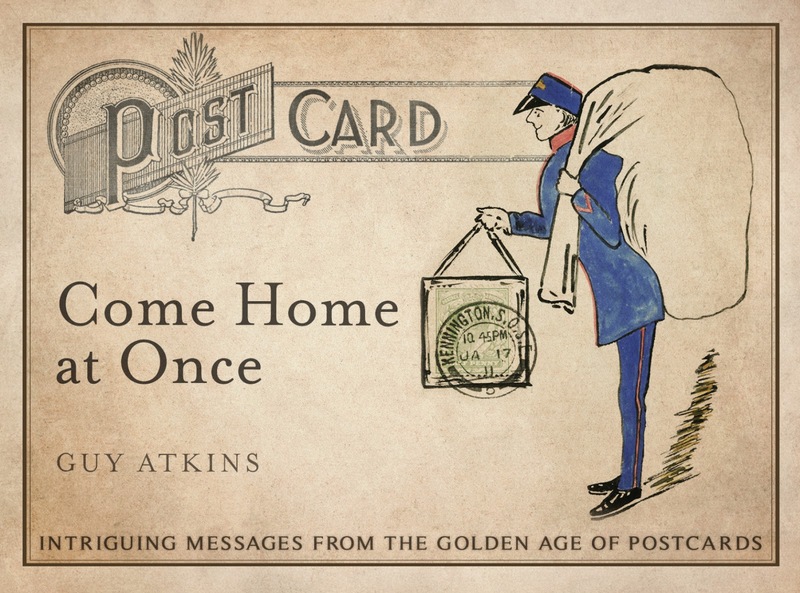 Postcardese enjoys 150 years of this gold, from the origins of postcards to what they mean today for senders, collectors, writers, and artists. Below is a clip of me (Guy) talking about my own collection: cards with intriguing messages from Edwardian Britain. When not talking people through every card I own, I'm often writing about postcards. I write regularly for Picture Postcard Monthly and Stamp & Coin Mart, and occasionally for newspapers and magazines like the Guardian and History Today. And now there's a book ('Come Home at Once') published by Bantam Press.